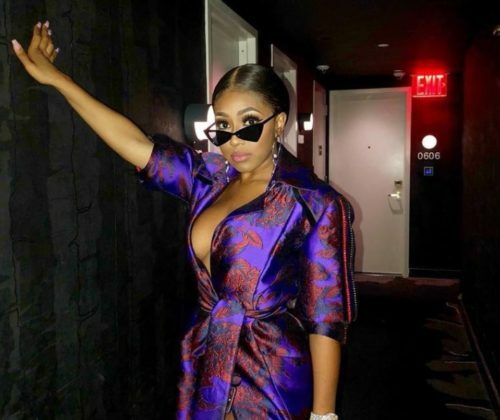 Yung Miami of the rap duo City Girls wants people to know that she doesn’t have a problem with gay people, despite saying that she would beat her son if he’s gay. You see, she has a gay hairdresser, and that makes it all OK. In 2013, she tweeted that she would beat her son if he turned out to be gay. In a not-at-all shocking turn of events, it turns out that Miami didn’t mean it. Earlier this week, she was on a radio show and was asked about the tweet. She stressed that she didn’t mean that she would actually beat her son – it was just a way to express how angry she would be if he were gay… because that makes it OK? And, just like Sarah Palin, Dr. Laura, and every other homophobic public figure, she has gay friends… well, a cousin and a stylist.